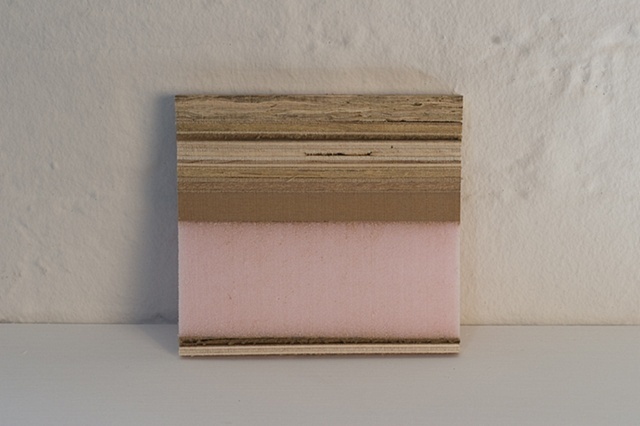 Open edition _-E consists of one 14cm x 15cm x 1cm rectangle of laminated wood and foam materials. It is often displayed as a loaf of variable length together with one or several individual slices, resting on a wall shelf built to fit the specific architecture of the display site. Eric Anglès was born in London and lives in New York. Following graduate degrees in political economy and theory and several years of fieldwork in Asia and North America, he turned to full-time artistic production in 2000. Anglès has since completed further graduate studies at Bard College, Columbia University and the Whitney Independent Study Program in New York. His work spans all media and consists exclusively of series of unlimited editions exhibited in group contexts. As of July 2009, there were 37 such open editions in active production.